We have always heard about startups by engineering grads in our country. But ever thought that a school dropout can be a successful entrepreneur too? Here is presenting to you Trishneet Arora. In today’s era of computers and technology, every other teenager dreams of a career in it but it is just a dream, unlike this 23-year-old school dropout Trishneet Arora. 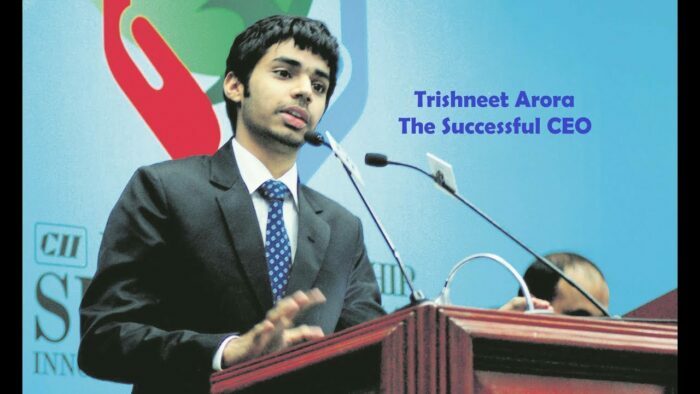 Trishneet Arora is an Indian author, one of the youngest ethical cybersecurity expert, an ethical hacker and entrepreneur. With books named as “The Hacking Era”, “Hacking TALK with Trishneet Arora” and “Hacking with Smart Phones” have been authored by him. 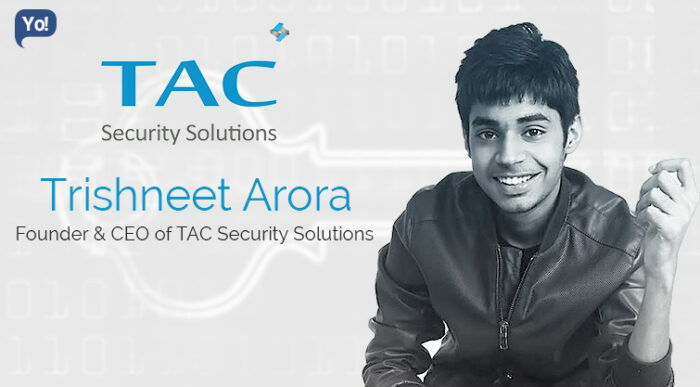 At the age of 19, in 2013, Arora founded TAC Security Solutions, a cyber-security solutions provider with a vision of “Securing Cyberspace: Securing Future”. Without any family background in computers, hardware or business, Trishneet’s journey from a middle-class family to a successful entrepreneur is very inspirational. The tale began a decade ago when 11-year-old Trishneet’s father bought him a computer. Young Trishneet got a taste of technology and started exploring it. Every time his computer used to crash, he used to observe the repair work carefully. As a result of this computer fanaticism, Trishneet failed in his class eight examination and passed his class ten through open learning. Blogging made Arora curious about ethical hacking and cybersecurity. Enthralled by this topic, he wrote to share his learning which failed due to certain glitches. His book “The Hacking Era” received a good response. Starting off as a trainer, Trishneet built a strong network in the beginning year by conducting workshops in Indian Institute of Technology, GNAIMT, and in other states. Following this, he was started referring to companies and government organizations that needed training for their employees in this field. This led to the formation of TAC Security Solutions when Trishneet realized he should give his work a corporate approach. Started in a small office in Ludhiana, TAC Security has shifted its operational base to Chandigarh and now is ready to put its footprint in Dubai. In 2013, Trishneet addressed his keynote speech with Former Finance Minister of India, Mr. Yashwant Sinha at a Business Relation Conference in Gujarat. His speech made such an impact that some senior officers invited him to conduct workshops for their Crime Branch. In 2014, Arora was appointed as the IT advisor of Punjab Police Academy. 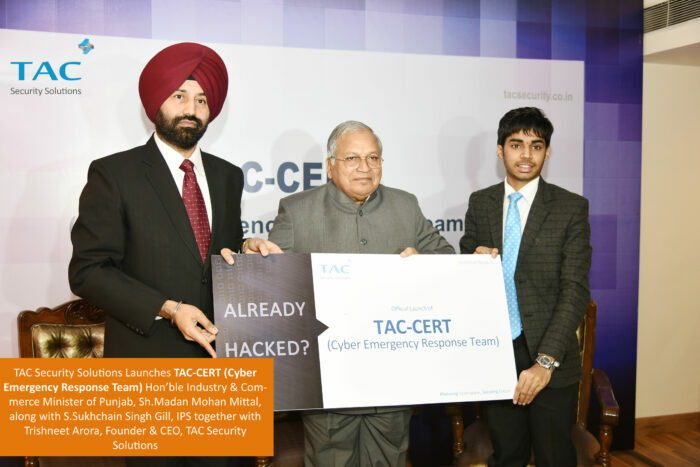 Currently, his multinational enterprise, TAC Security Solutions, provides protection to corporations against network vulnerabilities and data theft and cybersecurity training. Central Bureau of Investigation (CBI), Punjab and Gujarat Police, Reliance Industries Limited, Amul, Ralson (India) Ltd., and so on are some clients of the enterprise. 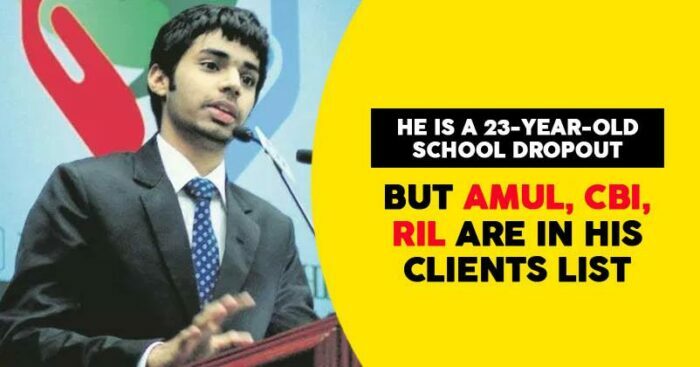 Observing Trishneet Arora’s life tells us that a degree doesn’t matter, experience and knowledge does. Taking help from engineering friends in this field, he is a much successful entrepreneur than many. His life should be an inspiration to all, especially to the young tech-geeks.